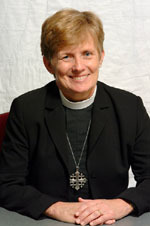 ELCA Bishop Margaret Payne refuses to correct the record. The Los Angeles Times today corrects one of three errors found in its coverage of the Pope's visit to Israel. The two omitted errors had been previously corrected by the paper back in 2003 and 2008. A CAMERA letter today in the Jerusalem Post debunks an argument made by Machsom Watch's Nomi Lalo that checkpoints and checkpoints serve no security purpose because "terrorists do not pass through roadblocks." The letter explained the International Court of Justice opinion on Israel's security barrier was merely advisory in nature, and that the barrier, a counterterrorism measure, is built on land whose status is disputed. One of the most disturbing of this season's "Bethlehem Formula" columns is the muddled and distorted Op-Ed by Kenneth Woodward that appeared on the generally well-vetted Op-Ed page of the Wall Street Journal. Readers opening the Wall Street Journal on Nov. 20 found a story ("Checkpoints Splinter Palestinian Economy" by Cam Simpson) so biased against Israeli perspectives it could have been taken from a propaganda tract.